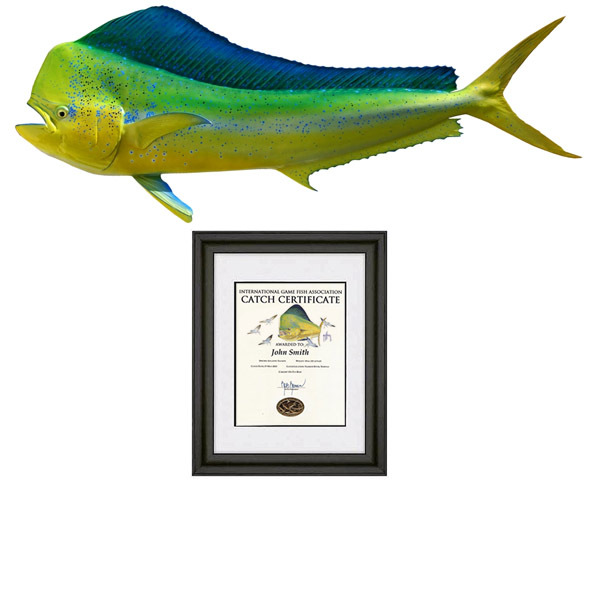 Now you can commemorate your outstanding catch with an IGFA Catch Certificate. IGFA offers certificates for both fresh and saltwater species and getting one couldn’t be easier. All that’s needed is the angler’s name, species, date of catch, place of catch and estimated weight. Please download and fill out this application. Each certificate features a beautiful selection of fresh or saltwater fish species, a gold embossed IGFA logo and President’s signature. At a price of $20 each, it’s a great way to venerate any catch.